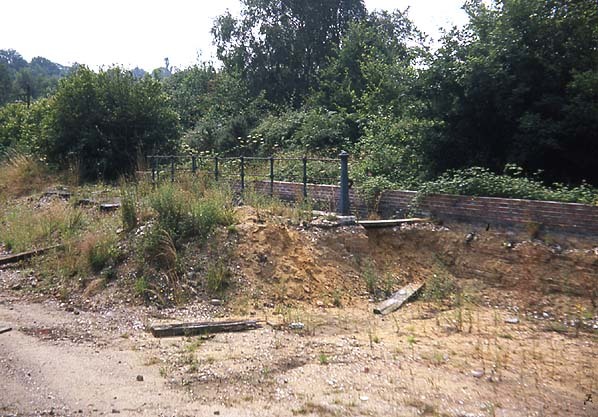 Present state: Demolished - the site is now lost under new roads and housing. The bricked up tunnel portal is still extant. Notes: The station was originally sited 23 chains to the west. 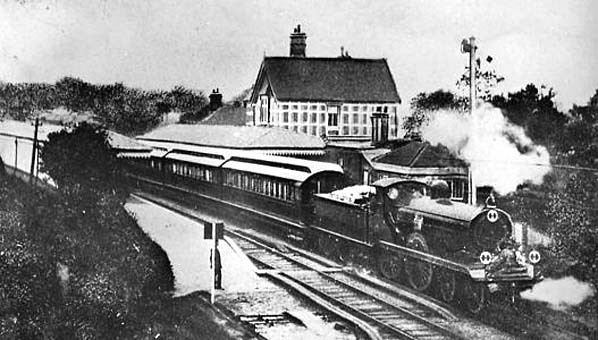 This was closed on 11.7.1881 on the opening of the new station. 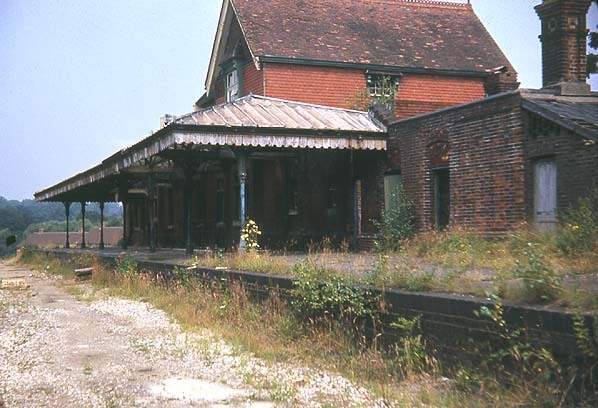 Remains of the westbound platform in 1968. The subway is behind the railings.